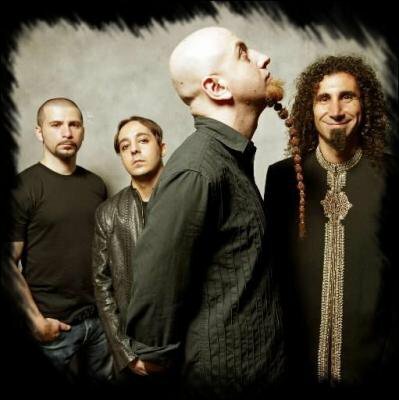 The American alternative metal System of a Down was born in the mid-90 years of collaboration between singer Serj Tankian, guitarist Daron Malakian, bassist Shavo Odadjian and drummer John Dolmayan. The training begins with California succeed in metal purists in Los Angeles and his fame extends to America, Europe and New Zealand. In 1998, System of a Down released his first album includes the single Sugar and especially the first part of the Slayer. SOAD is back at the beginning of 2001, Toxicity, a new opus. End of 2002 seems Steal This Album. A little more than two years later, the group returned to work and released a double album, Mesmerize / Hypnotize. Training decided to split the CD into two parts: the first was released in May 2005 and the second six months later. Following this, the group paused for each of its members can devote to his solo career. jme souviens qu'un jour une copine c'est amusé à me taguer BYOB dans le dos, du coup j'ai écouter et je surkiff cte chanson! !